The South Windarra Deposit is located 13.5km south of the Mt Windarra Deposit and lies at the south-western end of the Windarra Ultramafic belt. Mineralisation occurs within a thermally eroded lava channel at the base of the thick Windarra Ultramafic unit, which comprises a sequence of thinner komatiite lava flows. The South Windarra Mineral Resource is an estimation of the mineralisation that is both potentially accessible and may be economically viable in the future. The nickel mineralisation at South Windarra includes a small residual resource at the base of the existing pit left behind by WMC, which was not believed to be significant by Poseidon. In addition there is an eastern extension to mineralisation outside of the existing pit which is believed to demonstrate the trend of the main ore channel. In late 2011 Poseidon Nickel commissioned an independent scoping mining study of the remnant nickel resources below the South Windarra pit and underground workings. Poseidon sought to determine if there was any economic value in the remnant mineralisation below the pit, or to reuse the pit as an in-pit tailings dam for the planned nickel concentrator. For the purpose of this study the area below the current workings as well as an area to the west of the South Windarra pit was evaluated. The East Extension portion of the ore body was not assessed in this study as there is potential for further exploration in the vicinity of the East Extension to possibly extend this resource. The East Extension is separated from the mined out South Windarra ore bodies below the pit and the study included the assessment of a suitable portal location and decline design for access to this area. 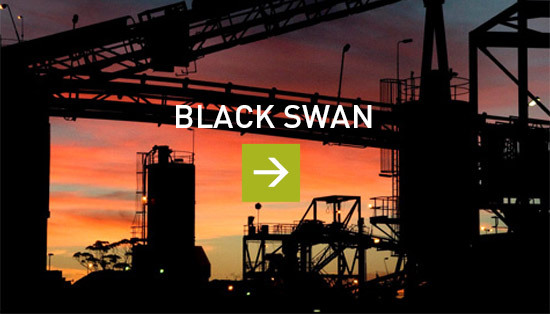 Based on the mine design and schedule produced for South Windarra it was deemed uneconomical to recommence underground mining at the South Windarra project. 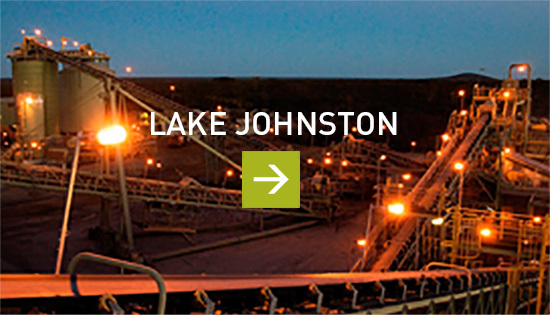 The South Windarra pit was found suitable for subaqueous in-pit tailings disposal. Consequently approval from DMP for in-pit tailings disposal was sort and has been approved. Tailings waste generated from the proposed nickel concentrator at Mt Windarra will be pumped via pipeline down to South Windarra and deposited into the flooded pit and clean water will be pump up to the concentrator for use as process water. The inpit tailings will sterilise the remnant nickel resources below the South Windarra pit and underground workings as well as an area to the west of the South Windarra pit. The nickel mineralisation relating to this has been removed from the company’s Mineral Resource Statement Table. 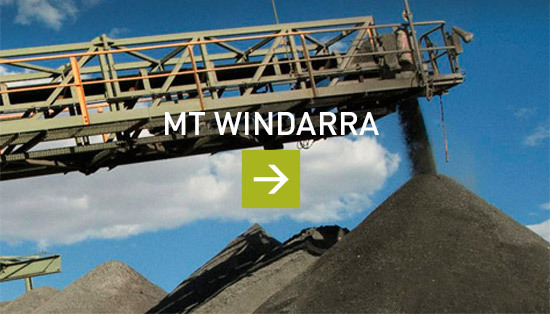 The East Extension mineralisation remains in the South Windarra Mineral Resource Table. Poseidon’s geologists have used modern 3D computer modelling techniques and utilised their understanding of these ancient nickel forming lava channel systems during the search for nickel sulphides within the Windarra Nickel Project. This led the company to the discovery of the Cerberus deposit, as well as identifying and understanding the nature of the lava channel which hosts the South Windarra mineralisation. WMC interpreted the mineralisation to be south plunging, and consequently the mineralisation was thought to have terminated at depth below the South Windarra workings. Poseidon’s 3D modelling and re-interpretation indicates that the lava channel and mineralisation plunge shallowly to the east, and is open along strike and down plunge as depicted below. Poseidon completed a ground seismic analysis to assist with the location of the potential extension to the South Windarra ore body in early 2011. Poseidon believes that significant evidence exists for an extension that if identified, would provide additional concentrator feed in future years. Future drilling is planned to test for down plunge mineralisation with the interpreted lava channel extension. This has the potential to unlock a previously unrealised shallow resource base extending from and to the east of South Windarra. The diagram below shows a 3D view of the South Windarra Mine (looking NNW) showing the mined and remaining ore resources and the open mineralisation trend along the interpreted plunge direction of the lava channel.